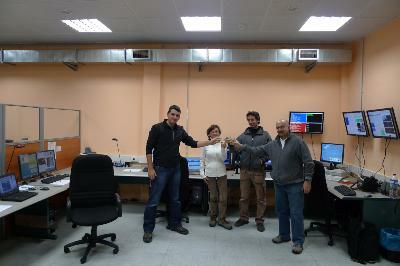 Thanks to the (long) efforts by lots of people we inaugurated on 16 December 2009, the new Control Room for the TNG. 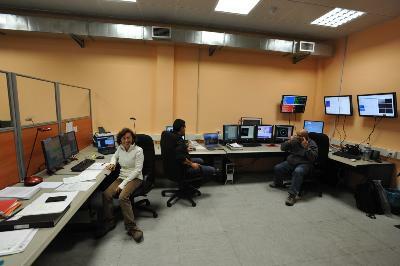 The room is at ground floor and offers more comfort and security for telescope operators and observers. In the pictures the crew of the first flight: Gloria Andreuzzi, Manuel González, José San Juan and Gianni Tessicini.